He added that his source, however, couldn’t provide more information because he’s under Non-disclosure Agreement with Xiaomi. The support for Treble was included in Oreo 8.0 update, but Mi A1 didn’t get the support with the update. 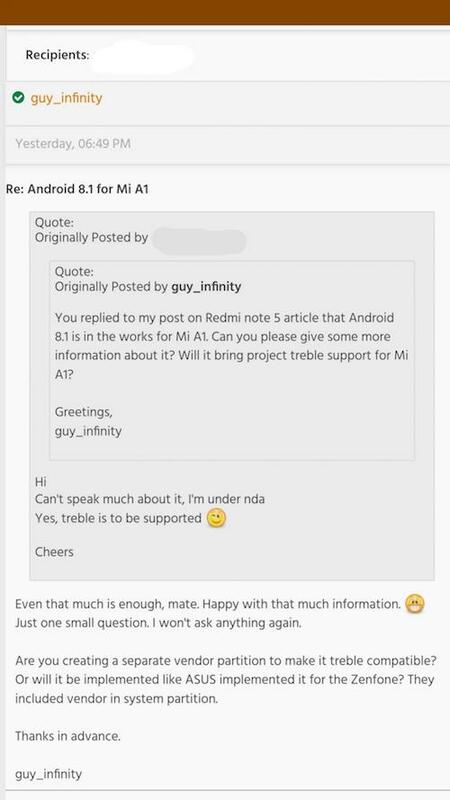 So this is great news for Mi A1 users as Project Treble means users will get updates to latest Android updates at a faster rate. Google’s Project Treble represents a major re-architecture for OS framework aimed to help manufacturers push timely Android updates to devices. 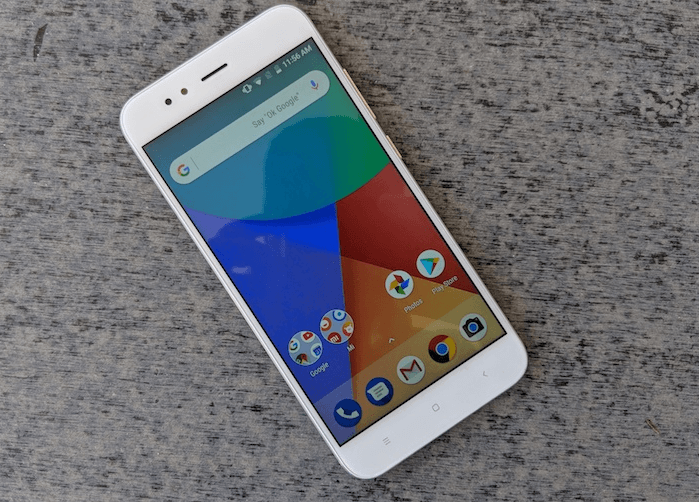 However, there is no time frame specified for the launch of Android 8.1 Oreo for the Mi A1. Also, do take the news with a pinch of salt as this is not coming from official Xiaomi sources. In related news, the Mi A1 has already received a new update which includes the security patches for the month of March. The new update weighs 440MB in size and, besides the April security patch brings several other changes. The changelog also suggests there are some generic improvements in performances and several bug fixes in the update. To recall, Mi A1 comes with a full metal unibody design, a 5.5-inch Full HD display with Corning Gorilla glass protection. Inside an octa-core Qualcomm Snapdragon 625 chipset paired with 4GB of RAM powers the device. On the imaging front, it sports a dual 12MP + 12MP primary camera with 2x optical zoom and a wide-angle lens, and a 5MP front camera.